Ogetsu Hime which means "Goddess of Food" is a Japanese A la Carte Restaurant specializing in Sushi, Sashimi, Teppanyaki, and table-side sukiyaki cooking. Ogetsu Hime is located at 5F Sky Park, SM Aura Premier. As you enter, you will have the view of the sushi bar where you can see your food prepared right in front of you. There are also Teppanyaki table for groups and will be served with a la carte servings of your favourite Japanese foods. Upon arrival at NAIA, we went straight here to surprise my 2 sisters who don't have any single idea that I'm in Manila that day. It was a night of craving satisfaction & boding moments while enjoying the sushi & ramen that we had. The interior of the resto has nothing special to be honest but if you're looking for quality Japanese food in SM Aura, this is one place to try as surprisingly they don't have service charge plus they serve quality good food at an affordable price. Tagaytay is known for its laid back feel perfect for a Sunday family fun day and ideal as well for friends looking for a great dinner with a perfect picture spot. Recently there was so much reviews about Bag of Beans Tagaytay so I made it to a point to check it out. As what they claim that this food haven is serving great food & ambience, I was not disappointed at all. Coz if you haven't been here, you're probably missing half of your life. Starting off the experience with their famous black coffee was just a wonderful experience on a cool afternoon with a open space and lots of comfortable nooks. You will really appreciate nature in here if you want a break from the city. While waiting for the food items to be served, we had so much fun laughing out loud & remembering our memories of Tagaytay back in college days. Bag of Beans is nestled in unman cured garden setting in Tagaytay. It's actually the experience and ambience that you would be paying for aside from the food. That make drinking coffee here in a totally different experience. Bag of Beans has been brewing Kapeng Barako and Kapeng Alamid for locals & tourist for almost 13 years now. Many people may go here because of their scrumptious cheesecakes while having a sip of their aromatic coffee. They also serve breakfast, lunch, dinner and of course don't forget to drop by their souvenir store where you can buy pasalubong like breads, pastries & coffee beans. If you've seen my recent post on Lotus Desaru Beach Resort & Spa, this resort located in Malaysia offers nothing but the best of total relaxation and a perfect getaway destination for everyone. And if you're looking for the best food destination for a great dinner, then you've gotta try Rhu Bar of Lotus Desaru Beach Resort. We had a satisfying dinner during our stay here as Rhu Bar serves only the best of their menu items using the freshest ingredients. We ordered Claypot Bean Curd (RM 18.00) Omelette with Onion (15.00) Steamed Rice (RM 3.00) Chicken Plum Sauce (RM 25.00) Chicken Stay (RM 18.00) Chuchi Lamb (RM 29.00) Chicken Dry Chili (RM 25.00) & Snapper Mian Kham (RM 56.00). It was an awesome feast for everyone. Have you experience the Yabu difference? One of the most talked about restaurant recently was Yabu PH for the lovers of Japanese food especially Katsu to be specific. As using only the best ingredients, you will discover what makes their Katsu better than the rest. Yabu PH in SM Megamall branch was the one I did try and it was quite a best dining experience for me. Katsudon takes its name from the words "katsu" (cutlet) and "donburi" (rice bowl dish). Yabu's original Katsudon is delicious cutlets dipped in egg and dredged in fresh panko, served over a bowl of steamed Japanese rice and all covered in a mouth-watering sauce and eggs. Extreme sports like wake boarding is such an amusing scene especially if your an avid fan of water sports even if you're really not that sporty kind of person. What if you have the benefit of this view right from your table while enjoying a whole meaty pizza & a bottle of San Mig beer. Republ1c Wakepark Restaurant located in Nuvali Sta. Rosa Laguna is one of the top spot for extreme wakeboarding sports in the Philippines. It's been quite some time since I first experience the excitement here so there's no doubt of coming back here again for some sporty weekend with friends. Repul1c Wakepark Restaurant offers decent & luscious meals after a sweaty wet and wild afternoon of pure sports activity. Previously I attempted the beginners track and after smashing myself into the water for several times, I decided to give up. This time around, I got myself fully confident to try the advance level and guess what, it was a success for a newbie like me. Afterwards, I felt all the hunger in the world so we decided to take dinner. We had Laing Pizza (Php 330.00) served with a cold bottle of San Mig beer. We tried Seafood Pasta (Php 195.00) flavoured with sauteed shrimp & asparagus in olive oil. Asian Chicken Cashew (Php 150.00) was also a bowl perfectly done if youre craving for rice. Oh well, sometimes we just really have to enjoy life through good food. So if you'll be passing by Laguna area or maybe on your way to Tagaytay, make sure to drop by at Nuvali and have a bite only at Republ1c WakePark Restaurant. Breakfast is the most essential part of maintaining a healthy lifestyle. So if it happened that you'll be in Makati area, you have to try Inside Sports Bar Makati located at Tune Hotel Makati just opposite the hotel entrance. This resto bar has two ambiences, cozy place for breakfast in the morning & lively drink spot at night for sports lovers out there. During my recent vacation in Manila, I stayed for a night in Tune Hotel & had my breakfast here before heading to Nuvali Wake Park. Insider Sports Bar- Makati offers all day Pinoy breakfast menu where you can order all-time favorite Tapsilog & Cornsilog matched with a strong black coffee for a good kickstart of the day. What else could be better than spending your morning for a full meal done deliciously shared with a good old friend sharing stories like it would never end. We've tried Tapsilog (Php 210.00) & Cornsilog (Php 225.00) with brewed coffee & hot tea. Their beef tapa is well cooked & flavoured with that beefy taste just right & well balanced. There's nothing too fancy in this place but you'll definitely love how the place for a quick morning meal after a saturday night of party in Makati. They also have wide varities of liquors available & memorabilias for foreign visitors while enjoying a FIFA World Cup series or if you're lucky enough, then you might catch Pacquaio fight in here. If you're spotting for a great hideaway to unleash your stressful wok life or perhaps unwind on a weekend trip, this place located in Desaru Malaysia is the place to be. If considering budget & proximity of this place from Singapore, Lotus Desaru Beach Resort & Spa offers nothing but the best of beach & recreational activities to all sun lovers out there. Spend your morning having breakfast with a beach view, take all the time for water fun rides and spend the night with a bottle of beers with friends are just some ideas you will surely enjoy in this beach haven. From Singapore, you just need to take a 40 minute ferry ride to reach this destination, if going here in a group of like 5-6 persons, individual spending for a 3 bedroom villa will just cost you $30-40/ head. Since you have everything you need inside, a pocket money of $50-$100 SGD will be enough to buy finger foods, bottle of beers or spending a coffee session wit friends. A 3 days & 2 nights itinerary will be recommended to fully utilize the amenities of Lotus Desaru as they have swimming pools, water parks, seafood resto, awesome water rides & other sports activities of your interest. 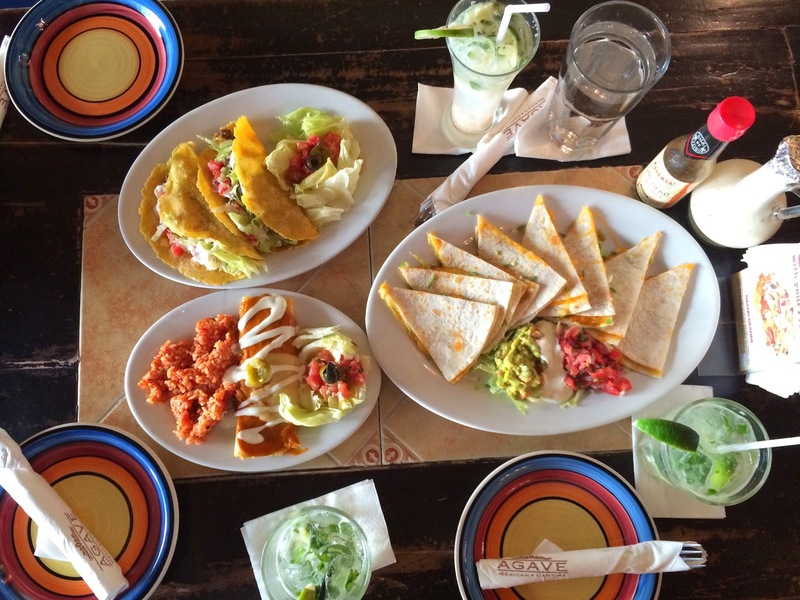 Whenever I feel hungry, Agave Mexican Cantina will always come into my dream list of foods to eat coz honestly they have the best Mexican food platters in available in Manila. Come and think of having nachos, tacos, burritos, quesadillas, enchiladas plus margarita and mojitos all in one table you can absolutely have a meal feast. Oh well, with no doubt at all Agave is one of the top food guide recommendation if you guys are craving for Mexican foods. Cupcakes are always a delight to see. The say "It if looks good then it must taste good too". 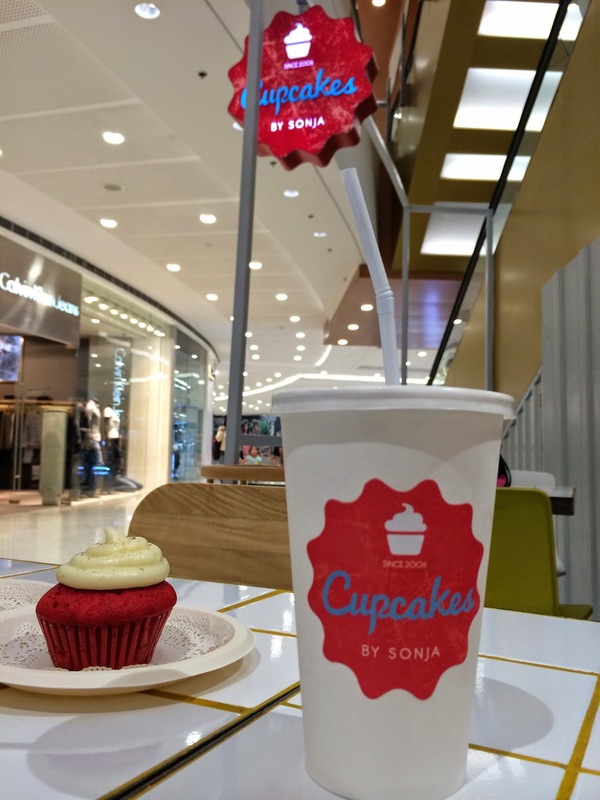 Let's see how good this can be at Cupcakes by Sonja located at SM Megamall in Philippines. The place is asethetically beautiful and such a cozy & fun place for barkadas. Going to places like this, it kinda makes you think of wanting to be a child again. Because really once you're here, you're basically like a kid in a candy store. It truly has a feel of what a sweet shop should be, with it's candy inspire design. I ordered 3 different cupcakes in different flavours once of which is the Red Velvet Vixen, a traditional Southern Red Velvet cupcake made with Belgian Cocoa and topped with luscious cream cheese frosting. The 2nd one you gotta try will be the Elvis, an Oreo cookie crust filled with rich peanut butter cream and Reese's chocolate bits, slathered with chocolate & caramel topped with caramelised banana slices and whipped cream. Lastly will be the Dessert Comes First, Speculoos peanut butter marble cupcake with a creamy surprise centre, topped with rich speculoos frosting and spiced biscuit bits. Their menu offers classic, special & premium cupcakes. They also have brownies, cookies, cake cups & bars that you will surely enjoy. I think all the cupcake flavours they have is to die for. Enough said. With the increasing awareness of people to proper health & keeping the body fit, most of us would prefer going out for dinner spot that offers relish food items that are healthy & nutritious. Having burgers, pastas or sandwiches doesn't mean unhealthy at all after trying out the newest wholesome restaurant named Dine @ Log. They have the best menu offerings for everyone ranging from salad, starter, burger, main course meal & ala carte and side dishes. That's not all as they also offer dessert & beverages plus the healthy drinks which really impressed me (mixed juices from real fresh fruits). I took my family out for a diner here & we left the place fully satisfied & feeling oh so healthy as well. The interior, ambience & the place you'll really love especially the food & healthy drinks. A delicious & healthy dinner for everyone. They always say "Life is too short not to do things that you really wanted." It has always been my obsession to have a tattoo, as something that would seem to be impossible. But out of the blue I came up so determined to have a tattoo of my drew. One thing that influenced me was my childhood friend who got his passion for tattoo but also a proud nurse graduate like me. During my recent trip in Philippines, I planned of my tattoo session with him at his Inkfinity Onin Tattoo Shop located just beside our house. I just had sensory overload for too much facts I learned in the world of tattooing. I grew up in a Christian family so tattoo was never a topic considered at home. To some folks, it might be a form of rebellion or even source of discrimination. But having my first ink, it was a long process of finally committing to have one and so far I never regret of having it at all. Getting inked for the first time, you need to be sure that it would be symbolical enough. I decided to have the number 13 to signify my birthdate January 13, born on Friday the 13th. When I turned 13 years old, i was even scared that I thought my life will end that day but lucky enough I'm still alive. LOL! The Inkfinity Onin Tatto is solely managed by Nino which happened to be the current partner of my older sister. He started his tattoo career 5 years ago and currently he is proud to have too much recognitions from local competitions and various art / tattoo events in Philippines. Being a nurse, he's also aware if the hygienic practices needed. With all his latest equipments, complete inks & a talented hands, you will never go wrong having your first tattoo with Inkfinity Tattoo Shop. Is it painful? To be honest, NO! Especially if you have already anticipated the pain but in case you have low tolerance to pain then it will be another story. The pain scale will be 5/10 for me with my experience. Pricing for tattoo will vary depending on the tattoo size or the number of hours needed to finish the design. For my tattoo, oh well it's a birthday gift, so I'm a lucky one. 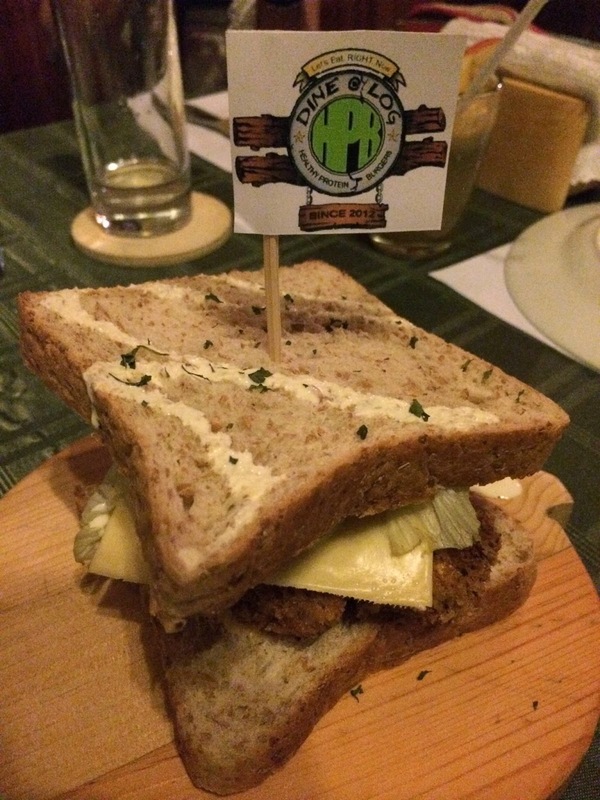 Looking for a taste of the best burger in Manila? You gotta try this newly opened 8 Cuts Burger Blends. A newly opened burger joint in SM Megamall is echoing around the metro for having its one of a kind make-your-own burger that surely be a great hie in the coming months. I don't know exactly where's the original outlet but if I'm not mistaken they had it first at UP Town Centre in Katipunan. Just to share with you some words of widow about the 8 Cuts, the name of it was derived from the 8 areas of where the burger patties were coming from . They've got the Chuck, Rib Eye, Short Rib, Sirloin, Brisket, Hanger, Flank & Ox Tail. They have this Menu part called "The BOSS& the Blends" composed of three sections. First will be the "Choose you Bun" (Sesame, Brioche, Kasier) wherein you can personalise your preferred bun of choice. Second will be "Choose your Toppings" (tomatoes, onions, lettuce, pickles, ketchup, mustard, mayonnaise) so you can definitely match the content of your burger based on your tastebud requirements. Third will be the "What's your Beef" (House Blend, Beef Bomb, Steak Cut, Big Game & Ox Blend) to highlight the burger patty of your choice just the way you want it. It's all for Php 190.00 but that's not all if you want more. You can also add in Classic Cheese, Swanky Cheese, House made sauce & even more toppings for unlimited options. It's such a memorable place for me coz I was with my two sisters with me enjoying the 8 Cuts delectable burgers. Th price range of their menu will be in affordable & average prices as you can already have a personalised burger of your choice for only Php 190.00 The staff are also readily available to assist you anytime & the interior is well maintained creating relaxed ambience for food lovers like me. On a salve of 1-10, it's fair enough to give an 8 for a well first experience I had here. A new spot to be recommended for everyone. If you love the sun, sea and the sand then you should be here! Spending just a day on the beach is just so therapeutic. There's something in the sound of the waves rushing to the shore, taking a walk & stepping into grains of fine sands, & simply basking off under the the heat of the sun. 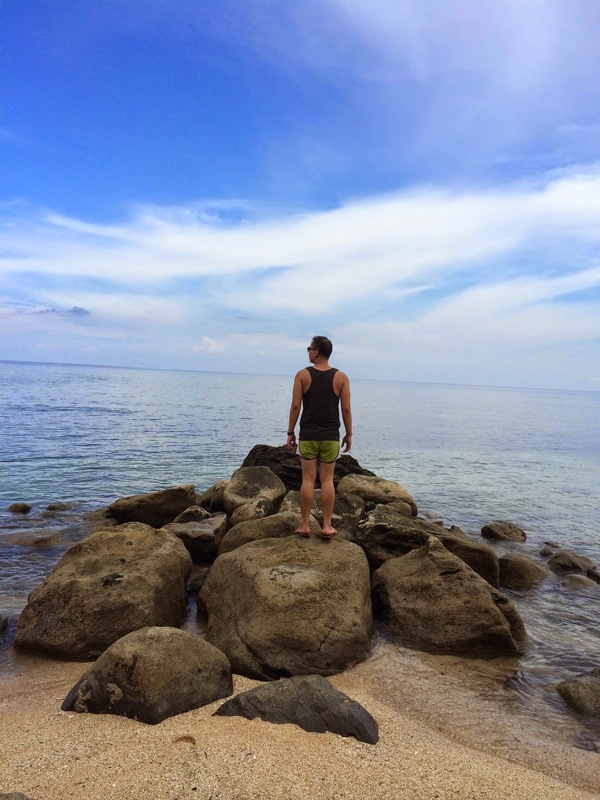 During my recent trip to Philippines, I really made sure that my last sumer escapade will be worth remembering. Lucky for me, I discovered some of the best untouched beach resorts in Oriental Mindoro, so picturesque & awesome I just can't help but to share with everyone. There's no place like home. That's what I felt upon coming back home last month last month where I stayed in Bonifacio Global City on my first night in Manila for my longest vacation ever this year. Having a taste again of authentic Filipino street foods was like going back to my childhood memories having ton of food I've waited to have a taste again. I didn't know there's a solution to that right in the middle of Makati located at Bonifacio Global City named Mercato Centrale. Mercato Centrale is a gastronomical arena for getting all the best food cravings you wanted all in one place. Yes, whether you're a street food lover or steak / Western delicacies fan, they all have it here. Imagine yourself walking along food tents from left to right, selling tacos, cheese friend, moist chico cake slices & even fish & chips, they all have it here. Since I've been craving for isaw, tuyo & other Pinoy foods for months, I was fully satisfied with what I had plus they also serve iced cold beer that makes it a perfect place for a late night out with friends. So the next time you visit Makati in Manila, make sure to drop by Mercato Centrale & definitely it will satisfy your taste buds. The year 2014 was quite a fast forward for me as June represents the mid part of the year and that means we have surpassed a lost have of the year. Better than usual, I have made this month on a balance between work & travel necessities. I was able to have my vacation in Hong Kong & Macau & not only that, I also had my longest vacation back to my homeland to enjoy some good break from the stresses of my OFW life. So hope you guys enjoy my photo diary for Instagram June 2014 post. Stay awesome everyone!